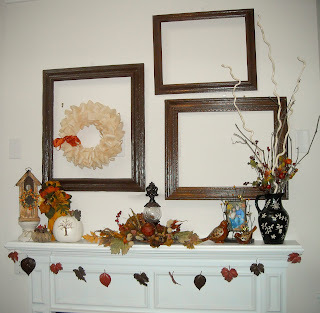 The Nesting Place is hosting a Fall Mantel Party link-up that people will be joining all day showing off their mantels all decked out for fall. 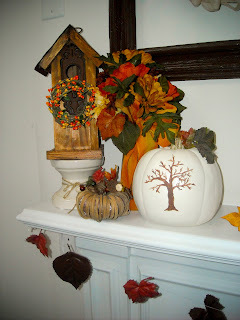 If you follow The Nester, you'll recognize several of the ideas I...ahem!...borrowed for my own mantel. I spray painted a few extra frames I had lying around and used them to replace the big picture that normally hangs up there. 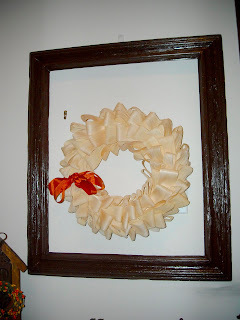 I used this link to create my own Martha Stewart corn husk wreath. It does a pretty good job of hiding the TV inputs the oh so helpful builders put over my fireplace. It does not hide the hook that normally holds one side of the heavy picture over the mantel, but considering how much effort it took to get that measured just right, I decided I could just ignore it for now. 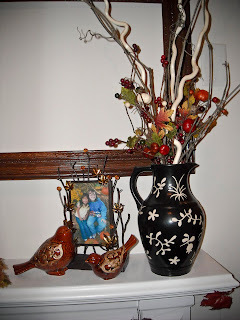 These little birds are so lovely and I had to have a picture of my girls on the mantel. Because it's my house and that's just how I roll. The pictures the Nester put up of painted pumpkins were so awesome I had to try it. 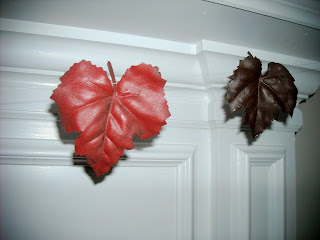 I loved these plaster leaves and I picked up a box of plaster at the craft store with every intention of trying it myself, but I just didn't feel like messing with it and the box went back on the shelf. 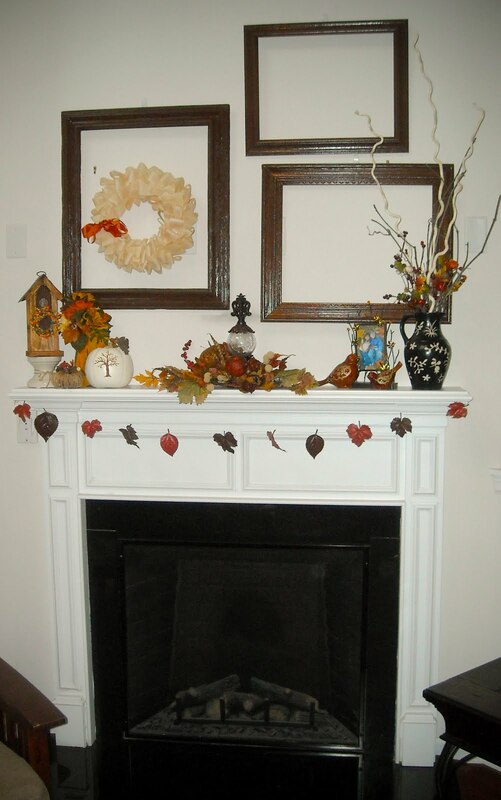 I did have some leaves and some appropriately fall colored spray paint at home, so I spray-painted a few leaves and tied them together with thread for a cheap easy version that doesn't get lost against my white mantel. My intention is to actually paint that wall before next fall, but I'm not doing anything in the living room until the dog goes back to school. Our lab puppy is still a bit destructive if she gets bored. The end result is a simple, pretty, fall-inspired mantel that I love. Watch the Pitcher! Watch, Watch the Pitcher!